There is a very interesting aspect of our model which will begin to come into play in 2020. The cycle is changing here in 2019 and we are entering a period of a new political trend into 2023. This not such a great thing for either party. What is clearly taking place is that the shutdown seems to have been a turning point. True, Trumps polls have collapsed to 37% approval. But at the same time, faith in Congress has also collapsed. This is introducing a trend our model has been pointing to – the rise of a 3rd Party going all the way into 2024. Polls are fickle. It is a long time between here and the election in 2020. The attention span of the people seems to be too short to remember this shutdown one two years from now. Trump miscalculated. The President is ALWAYS credited or blamed because people assume the President is all powerful. So Pelosi understood that no matter what she does, Trump will be blamed and not her. Trump had to yield for the shutdown will reduce the GDP and he will be unable to say he has done a good job with a strong economy. That is just how politics works in Washington and it was a hard lesson Trump had to learn. Still, the damage is not really about the shutdown itself. It seems to be centered on the fact that both sides acted like children demonstrating that neither party seems capable of managing anything. When we arrive at 2020, this is the big turning point for a 3rd Party. The Press and career politicians on both sides are out to get Trump simply because he is not one of them. But that does not mean the people are ready to surrender to career politicians once again. The crazy thing on our model is that it clearly shows that there is a 13 election year cycle coming into play in 2020 for a strong 3rd Party Showing. 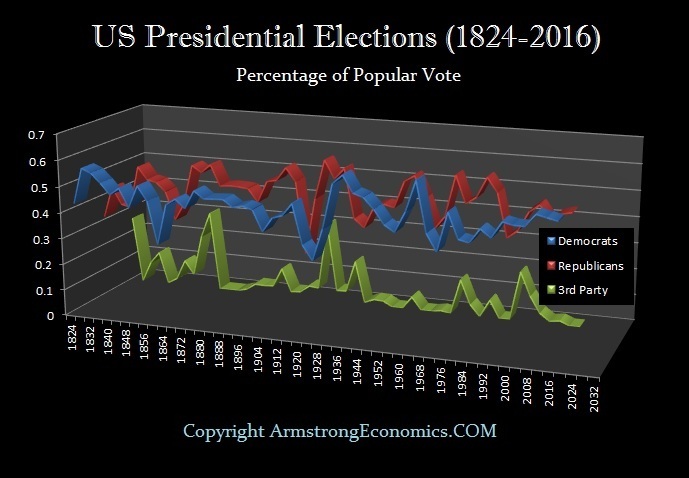 In 1912, there was a 30% vote for a 3rd party. Then in 1968, there was a 13% vote for a 3rd party. Since the last 3rd party took 19% in 1992 and 10% in 1996, a 3rd party this time could match or exceed 19% in 2020. 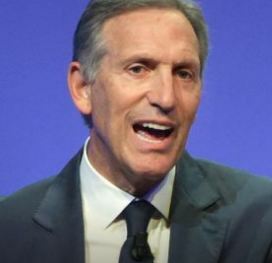 We already have the former Starbucks CEO Howard Schultz talking about that he may run in 2020 but as an Independent. As crazy as that may sound to those wrapped up in party politics, our model is showing that this is the trend. 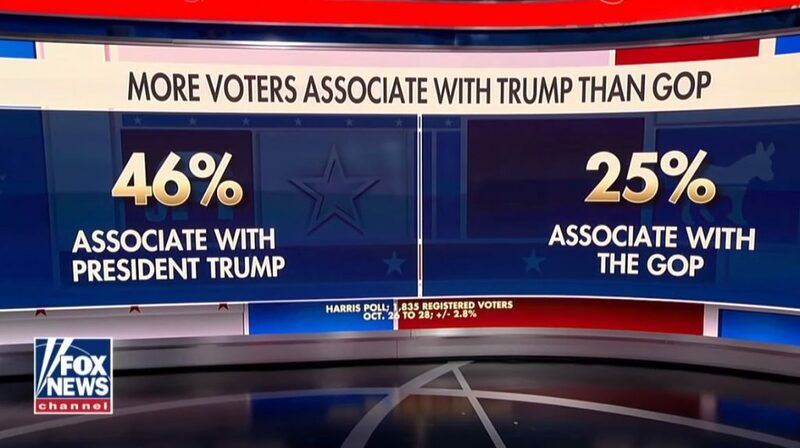 That Fox Poll is most interesting. It said that 46% of Republicans identified with Trump rather than the Republican Party. The implications of this are significant. It is not that Trump is some fantastic person, but that people are beginning to identify with candidates instead of parties. This is confirming what our computer is forecasting. The rise of a 3rd party is ripe for the taking. More and more people will vote for a person rather than a party. The generation of Roosevelt is gone. There is really no adult from the Great Depression still alive today. Therefore, despite the critical emails I get, this is never about my opinion. The numbers are the numbers as is time. This has NOTHING to do with who I would vote for. Quite frankly, I do not see either party as doing anything to save the nation no less the world from the shift in power our computer is forecasting.